Are You An Obsessive Compulsive Doodler? This Course Is Just For You! Mandala, a spiritual symbol in Buddhism and Hinduism that represents the universe, has also turned into a fad the last few years. Created on a base of a circle, drawing a mandala has now been adopted as a tool for therapy and relaxation. While it looks intricate, you actually follow a rhythm, with a little effort, turns into a stunning piece of art. And to help you with that, Penkraft, an institute in Thane, organises a course-in-a-box, where you get everything you need to be able to pick up a skill like this. According to them, colours speak to us, expressing a mix of emotions and the mandala is one tool that can help us relate. 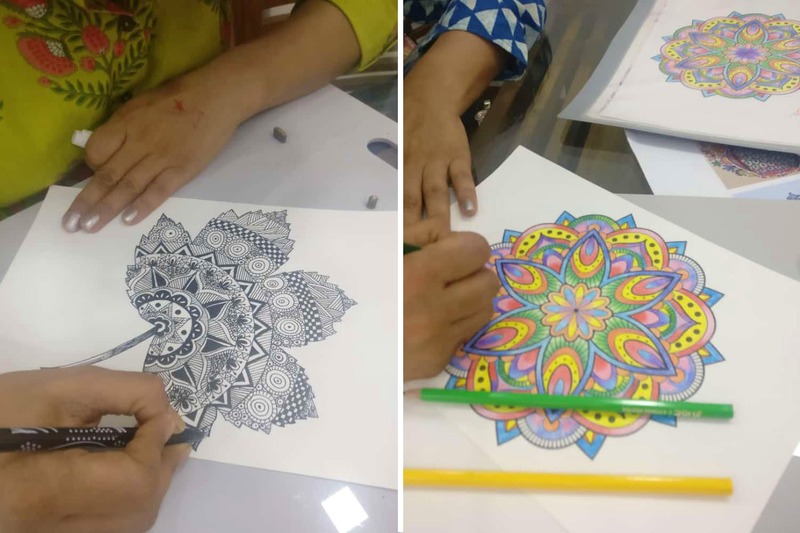 They have special Mandala Art classes, where you can either pick it up as a hobby or pursue it professionally, so that you can train kids in this art form. You will be given the materials (pens, pencils, gel pens, coloured pens and glitter pens) to be able to craft your own design. What’s awesome is that while you’re having so much fun doing this, you also end up learning a fun skill. For picking it up as a hobby, it will cost you INR 3,500 and for a being a professional after which you can start your own classes, you pay INR 5,500. Both the classes are taught by the founder of Penkraft, Pallavi Desai. If you think that art can calm the mind and open up an outlet that is creative yet fun, give this a shot. If you think you can help influence young minds by making a difference and helping them channel their energies into hobbies that teach and let them have fun, pick this up and start making a difference. To know more, check them out here.